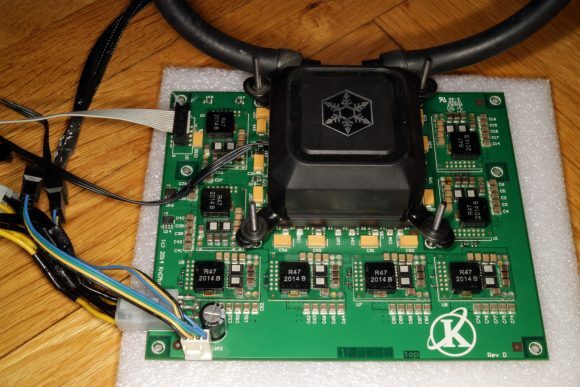 The Energy Saver feature of Gentarkin’s custom KNC Titan firmware was something that we wanted to try out in the 1.0.2 version and we tried to do it, but there was a bug that was causing the process to continue for days without finishing. With the release of the new 1.0.4 version of the custom firmware the issue in the Energy Saver feature has been resolved and we were finally able to finish a complete run on a single Titan Cube in less than 24 hours. On the image above you can see the stock settings of a fully functioning Titan Cube with all cores at 325 MHz with -0.0366V set for each core. 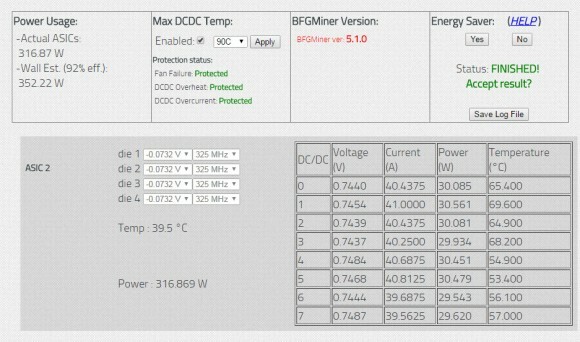 The total power usage with these “default” settings is about 347 W and with the PSU power efficiency taken into account it makes it at about 384 Watts with a highly efficient PSU at 92% efficiency, with a less efficient PSU at lets say 85% the power usage will be higher at the wall and the final savings should be more. 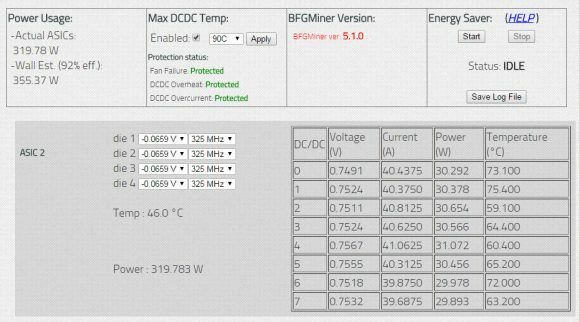 The idea of the Energy Saver feature is to find the optimal lowest operating voltage of each core automatically and test to ensure the miner can run stable at these settings. 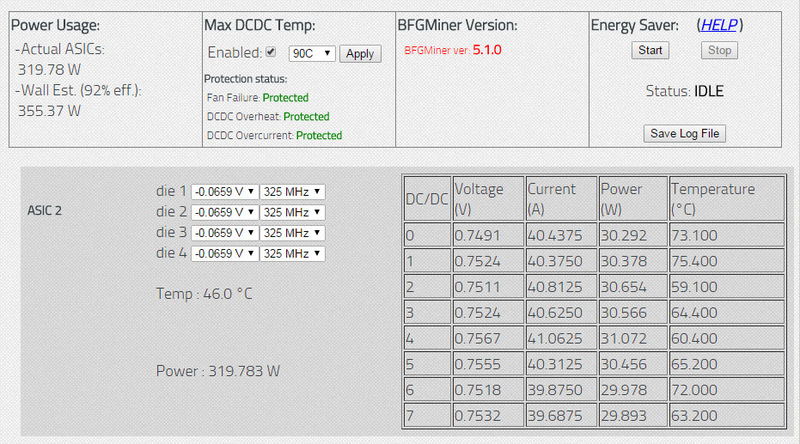 As a result you get lower power consumption (lower energy bill) and less heat generated by the components, so in theory you should be able to extend the life of your mining hardware as well. All is done automatically and in the end you just need to confirm the settings that are being suggested. 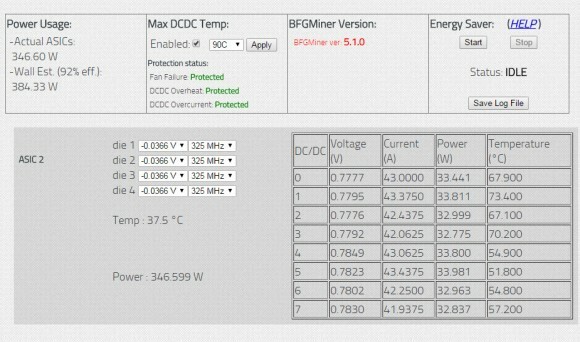 Our results for the fully functioning cube set at 325 MHz after the Energy Saver feature was over was an optimized voltage for all four cores at -0.0732V with a slight reduction of operating temperatures of the DCDC power modules. The more important thing is the reduction of the power usage, the actual consumed power by the device went down from about 347W to about 317W or about 30 Watts down, and a total of about 32 Watts lower power consumption at the wall. It may not seem that much, but this is close to about 10% and if you get 30 Watts lower power usage per cube and have a lot of cubes the number and power savings can get quite big. 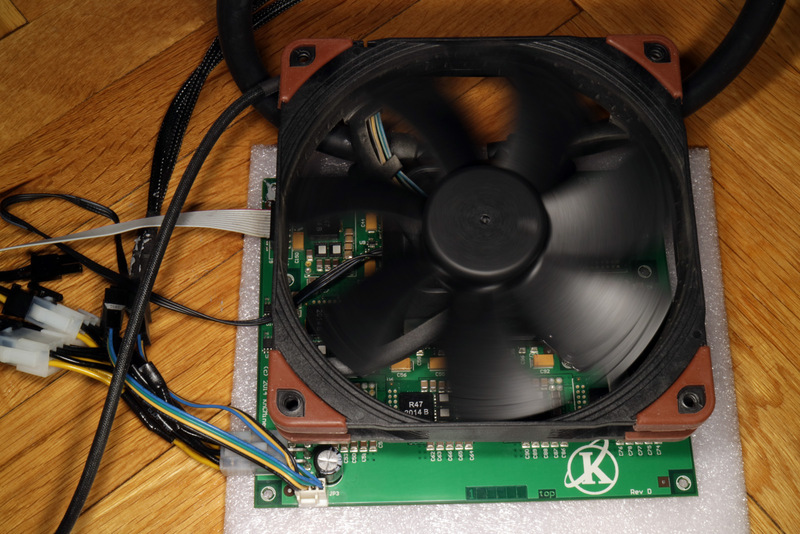 One more reason for users of KNC Titan Scrypt ASIC miners to get Gentarkin’s Custom Titan Firmware. GenTarkin’s custom modified KNC Titan Scrypt ASIC firmware has been updated to version 1.0.4 with the update focusing on fixing issues that may cause the Energy Saver function to get stuck and never finish optimizing the power usage of the mining cubes attached to the controller. The modified firmware provides users with better and more functional interface and more importantly a more safer to use and better performing miner. This very useful extra functionality provided by GenTarkin’s Custom KNC Titan Firmware comes at a price, you need to purchase a full license for the modified firmware that is currently sold at $75 USD for the controller and if you have an additional devices you can purchase extra licenses for $35 USD each for each controller (key for activation only), not for each cube. We have been using the previous release 1.0.2 for some time already and are really happy with it, though when we wanted to test the Energy Saver feature we apparently got trapped in a loop taking days and the optimization process not finishing. 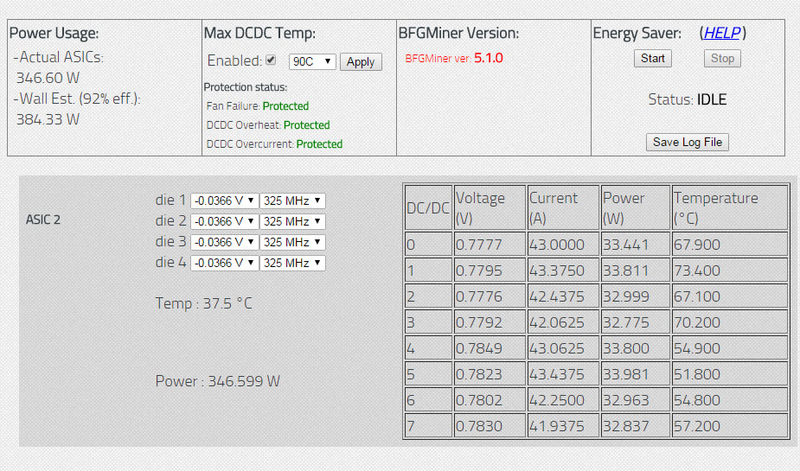 So hopefully we would be able to finish our testing of the automated functionality intended for reducing the power consumption of KNC Titan miners with the new 1.0.4 version of GenTarkin’s Custom KNC Titan Firmware. So stay tuned for our report on our experience and results using the extra Energy Saver feature with the new release in a couple of days. 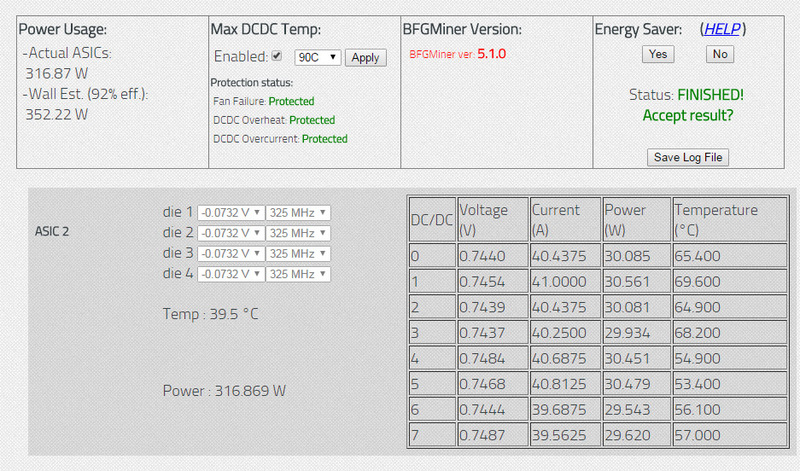 Other than the issue with the Energy Saver feature looping for days without finishing the process we are very pleased with the modified firmware as compared to the latest official firmware for the Titan miners. 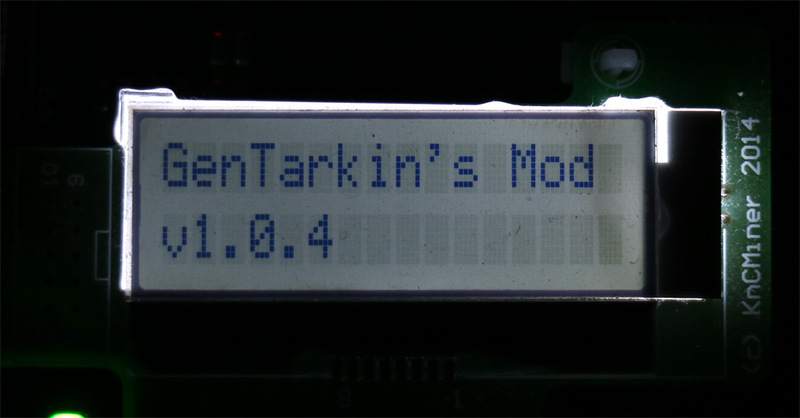 So we would advice all KNC Titan ASIC owners still using the official firmware to check out the latest GenTarkin’s Custom KNC Titan Firmware.